Learning analytics, educational data mining, formative assessment - all recent buzz words in educational research. In principle, the idea is to find theoretical frameworks, models, procedures, and smart tools to collect, aggregate, analyze, reason on and visualize large scale educational data. - tailored to the very concrete demands and requirements of teachers and learners. » As opposed to mere statistical approaches to Learning Analytics, Lea’s Box offers qualitative analytics describing the set of competencies and skills the learners have and their individual learning paths through a learning domain instead of a numerical average value only. The solutions are based on well-elaborated psycho-pedagogical theories such as Competence-based Knowledge Space Theory (CbKST) and Formal Concept Analysis (FCA). » Typical dashboard-style visualizations of learning have great advantages and contributed to broadening the possibilities of improving and personalizing teaching. Lea’s Box offers new insights into learning processes by displaying the “structure of learning”. Directed graphs reveal the options of each individual learner, her strengths and concrete competencies gaps. 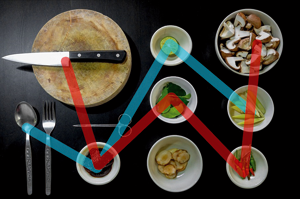 Lea’s Box makes the step from analytics to formative analytics. 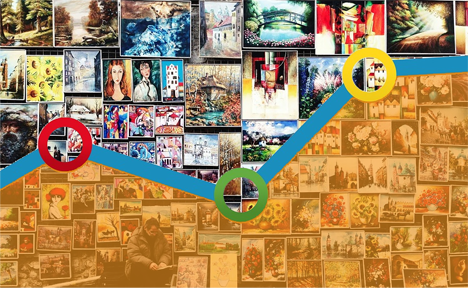 » Sophisticated analytics … it’s all fair and well! Learning Analytics can only have impact, however, when user – and this means teachers as well as students – easily understand the analytics process and its uncertainties. Computer-driven analytics will only enrich educational practice when the outcomes are negotiable. 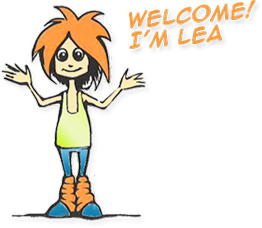 Lea’s Box understands these practical needs and offers a negotiable open learner modelling system (nOLM). The results and processes of the analytics algorithms are opened and so are the sources of information for the algorithms. This makes users “formatively” understand the results and allow them to really profit from this technology. This approach also provides the necessary transparency for a fair and ethically correct application of data driven assessments. » Daily practice in schools most often means conventional teaching and learning. Schools are still analogues places where the collection of clean and comprehensive data sets for analytics is near impossible. Lea’s Box offers small, simple and easy to use in-line tools for recording data, for keeping records, and for connecting all available sources of information about learning, no matter if this is a manual assessment by the teacher, a self-assessment by the student, a Moodle quiz, or a learning game. Lea's Box is a publicly funded project and most results and solutions are available freely or even with an open source licence. Check out the download page. If you want to register for a demo account, please contact us! 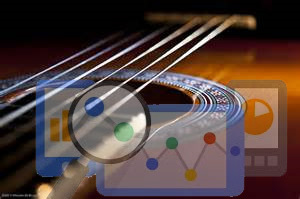 Learning Analytics for Guitar Players! March 2014 in Graz, Austria. authors and "LEA's BOX Project"